I recently backed up the photos on my cell phone. It's silly that it has taken me so long because I completely understand the importance of backing up my photos and having back-ups of my back-ups for my clients' photos. It's amazing to me that I don't protect the photos on my phone with the same sense of urgency and importance as those taken with my professional camera. The photos on my phone may not be the highest quality/pixels and such, but they are priceless snapshots of my everyday life. I took my son's first picture with my phone and his first smile, crawl, solid food taste test and so on. It's simple and always close by. When my son was brand new, he would cry when I tried to photograph him with my pro camera because it covered my face and that freaked him out, so the majority of the his photos were taken on my phone... fancy hu? 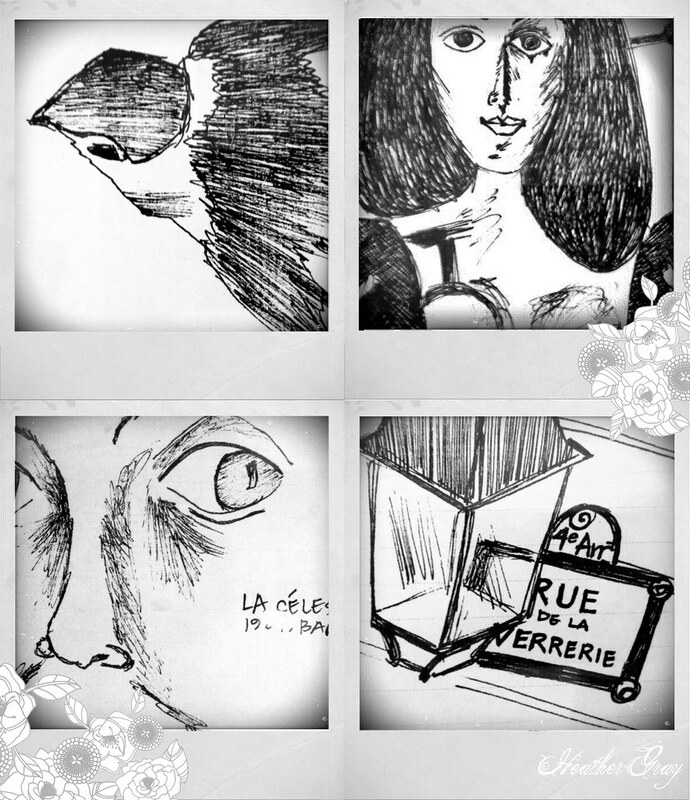 The images above are sketches I made while I was studying art history in Paris. I took a study abroad course with one of my favorite professors, Frances Charteris. Our classrooms were the museums of Paris and our lessons navigating the french culture. It was an amazing experience that I hold dear to my heart. Using my camera, beloved moleskin and black le pen, I recorded my journey. I photographed these four sketches with my trusty cell phone. I can't wait to go back with my husband and son, to show them the little nooks, crannies and magical hideaways I found while studying in Paris.